TAKE AN ARTISAN CLASS IN SANTA CRUZ AND GET A HANDS-ON EXPERIENCE OF GUATEMALAN CULTURE. Want to learn how to make authentic Guatemalan classics? 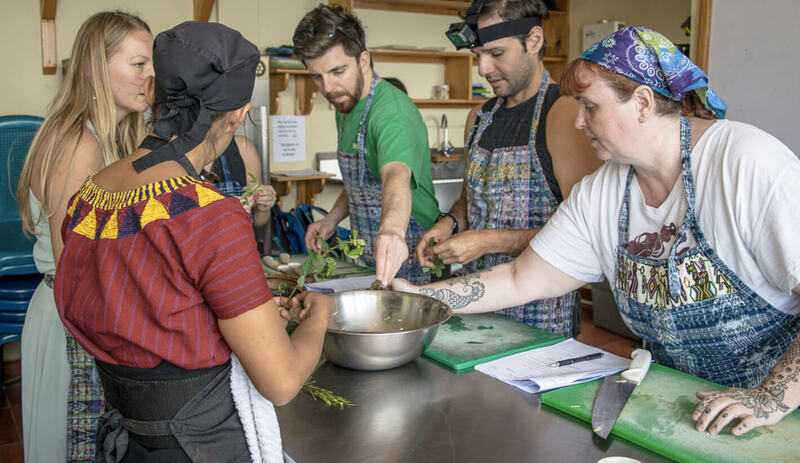 Take a cooking class with Santa Cruz local and CECAP Culinary Program graduate, Claudia. Interested in learning how our artisans make their beautiful products? Reserve a beading class and make your own custom beaded friendship bracelet with local artisans from Santa Cruz. Want to try your hand at a traditional Guatemala craft and get to know a local artisan? Take a weaving class in the artisan’s home for an authentic Mayan village experience.